In the UK, since 2011, there have been two main policies, pushing forward anaerobic digestion UK implementation. We throw away 7.2 million tonnes of food and drink from our homes every year, the majority of which could have been eaten. This costs us £12 billion a year, harms the environment and wastes resources. In the UK food industry, waste is estimated to cost £5 billion per year. Preventing food waste is better for the environment than any treatment, and can save money for businesses and households. 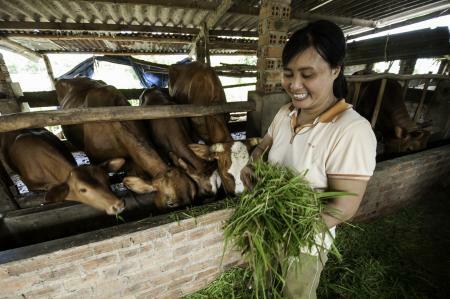 When there is food waste, treatment by anaerobic digestion or in-vessel composting is more sustainable than landfilling, which creates greenhouse gases. Efficient energy recovery means getting the most out of energy from waste, not putting the most waste into energy recovery. This might require a combination of energy from waste technologies. Incineration is one of these and others include pyrolysis, gasification and plasma arc. So, how well, in mid-2016, are these policies being followed? On Food Waste collection, and its sustainable digestion in anaerobic digestion plants, Wales and Scotland have done well, but the record in England where the influence of austerity policies is strongest, has been poor. As the population in England is far greater than Wales and Scotland the overall preformance of this form of anaerobic digestion in the UK overall is lagging behind other comparable countries. Environmental charity Keep Britain Tidy (KBT) says that England should “hang its head is shame” following figures released this week showing Wales’ recycling rate is soaring ahead. It says the “progressive” waste and recycling policy adopted by the Welsh Assembly is now reaping dividends, after figures revealed that 59% of waste collected by local authorities in Wales is now being recycled. This compares to just 44% in England, a figure that has stayed relatively static over the past two years. This situation is all the more concerning given that EU legislation requires the UK to achieve an average recycling rate of 50% by 2020 or face penalties, KBT says. Councils in Wales currently have the highest average recycling rate of all the devolved nations thanks to what KBT calls an ambitious long-term waste strategy to reduce waste and recycle 70% of all waste collected by local authorities. Unlike England, every local authority in Wales must meet recycling targets that rise gradually to 70% by 2025 or face fines. Keep Britain Tidy’s Deputy Chief Executive Richard McIlwain said: “The success in Wales reflects very badly on the situation here in England. 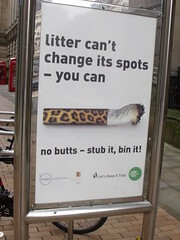 Keep Britain Tidy works with local authorities up and down the country to help them reduce the amount of residual waste and increase recycling rates as part of its work to encourage people to waste less. The Scottish Environment Protection Agency (SEPA) is seeking responses to a consultation on guidance that sets out obligations along the chain of food waste management, with an aim of achieving a high quality recycling of food waste. And, raising anaerobic digestion UK financial values. The consultation will run until 29 June 2016 and asks how the food waste management chain how to maximise efficiency across composting and anaerobic digestion. The chain of management includes the waste producer, collection service provider, food waste treatment facility and final user of the food waste derived compost and / or anaerobic digestate. SEPA intends to include standard permit conditions in all food waste treatment facility permits under a SEPA initiated variation to support the guidance. It is also seeking feedback on its revised regulatory positions for the Regulation of Outputs from Composting and Anaerobic Digestion Processes. These revisions set out limits (by weight) of physical contaminants (including plastic) to 50% of those specified in PAS 100 and 8% of those specified in PAS110 standards (for compost and anaerobic digestate resectively). Compost or digestate that exceeds these revised limits for physical contaminants will be regulated as a waste and SEPA says such material is not be suitable for application to agricultural land under an exemption from waste management licensing. 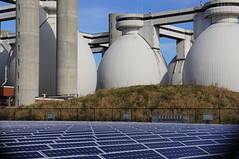 Proposals set out in a new Department of Energy and Climate Change (DECC) consultation on the Feed-in Tariff (FiT) for anaerobic digestion (AD) will “kill off” AD projects, according to the Anaerobic Digestion and Bioresources Association (ADBA). The consultation looks at the generation tariffs for AD and micro-combined heat and power (mCHP) and sustainability criteria and feedstock restrictions for AD. It proposes restrictions to plant sizes and feedstocks that, according to ADBA, will make it even harder to deploy viable AD plants using waste, crops or agricultural residues. Responding to the consultation, ADBA’s chief executice, Charlotte Morton, said: “This consultation does nothing to address DECC’s fundamental lack of ambition for AD and community scale renewables. 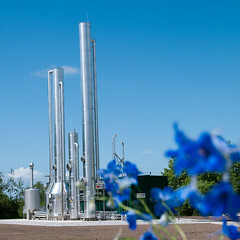 The UK anaerobic digestion industry in general, accepts that subsidies should be discontinued once their industry has matured to the point when the many costs and associated risks, have been reduced sufficiently through learning from existing projects as they operate through their design lives. 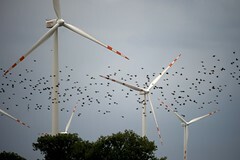 However, these reductions risk serious loss of jobs if the industry is unable to move rapidly to fully self-financing. With the Food Waste (Reduction) Bill due to “fall” at the end of this Parliamentary session, Kerry McCarthy MP, Labour MP for Bristol East and Shadow Secretary of State for Environment, Food & Rural via Food Waste Reduction Bill: What’s Next? The Food Waste Reduction Bill looks to be dead in the water, and is stalling the development of sustainable food waste practices, says Ashfords LLP’s Jade Carter. Despite increased media exposure of the problem, the industry is not being given the tools it needs to improve the situation. Farmers Weekly: The UK biogas sector faces a gloomy future despite significant growth over the past year and hundreds of projects in the development pipeline, according to a study.